Last Wednesday, Nov. 30, several students from Mountain Vista High School attended districts for the club DECA. “Districts consisted of a test and two role plays,” senior Abi Fisch said. 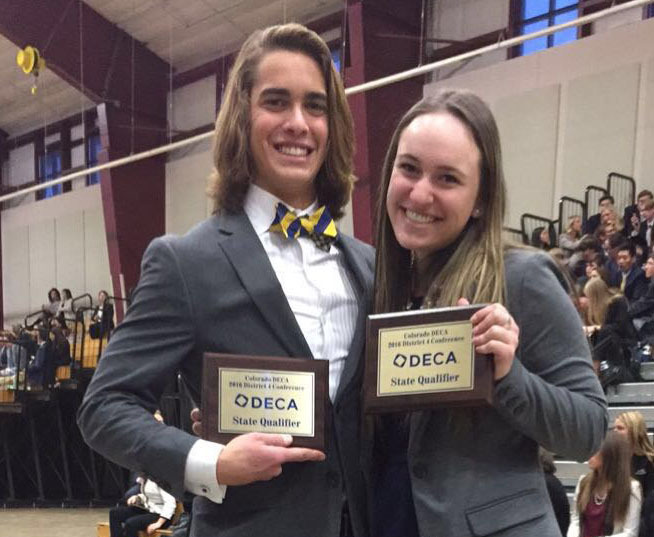 Fisch and her partner, senior Jordan Patierno, competed in Travel & Tourism at districts. At the end of districts, the state qualifiers in each category were announced. Fisch and Patierno ended up placing first in their category.